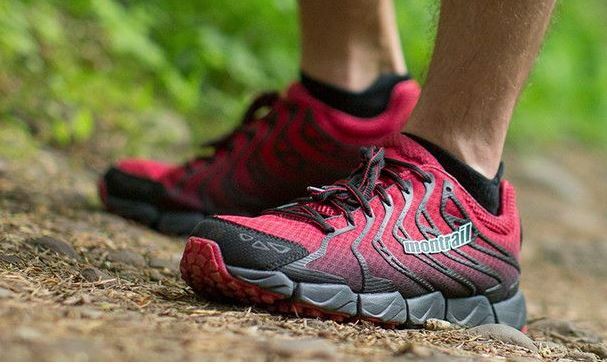 Montrail is an American sportswear company that manufactures and sells shoes for hiking, running, and other outdoor activities. For professionals and amateurs alike, the Montrail shoes catalogue offers high quality footwear with innovative designs and features. With Big Apple Buddy’s personal shopping service, you can now buy direct from the Montrail online store anytime, anywhere. Stay dry with the Montrail Caldorado Outdry Shoes. This outdoor footwear was made to withstand any adventure you want to go on. They have ultimate traction to have a firm grip wherever you walk and they'll keep you dry what no matter what with the waterproof feature. You'll be protected and comfortable as you take a hike, a walk, or a run as the extra cushioning and flexibility completes these shoes. These are the hiking shoes you've been looking for! 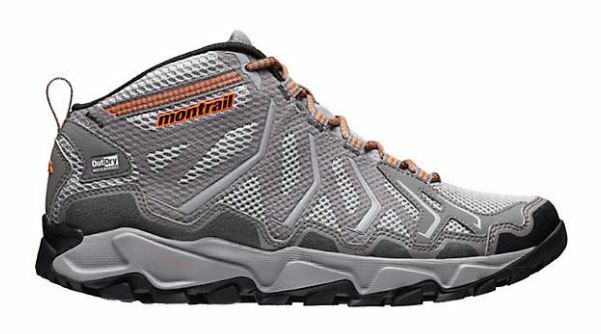 The Montrail Trans Alps Mid Outdry Shoes are breathable and waterproof for maximum adjustability to any situation or adventure you're caught up in. They are lightweight enough to easily change from hiking to running and maintain the comfort and strong grip that the shoes guarantee. Available for men and women, these are the shoes for everyone! 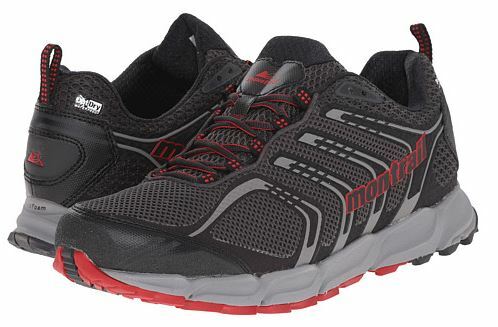 For the ultimate running shoes, the Montrail FluidFeel IV Shoes promise a smooth trek for wherever you go. The soft sole provides the extra cushion you need while the flexibility of the shoe makes it comfortable to wear all day long so it's one less thing to worry about as you take on nature. They'll feel like gloves on your feet with how lightweight the shoes are and you'll be able to take off running in no time! Unfortunately, the USA Montrail online store does not currently offer international shipping. However, Big Apple Buddy, your personal shopper, can help you buy products direct from the official USA Montrail online store and ship them to your doorstep, no matter where you are in the world. We offer international shipping to over 110 countries including Australia, Austria, Azerbaijan, Bahrain, Belgium, British Virgin Islands, Brunei, Bulgaria, Canada, Chile, Costa Rica, Croatia, Czech Republic, Denmark, Estonia, Fiji, Finland, France, French Polynesia, Germany, Gibraltar, Greece, Greenland, Hong Kong, Hungary, Iceland, Indonesia, Ireland, Israel, Italy, Japan, Jordan, Kuwait, Latvia, Liechtenstein, Lithuania, Luxembourg, Macau, Malaysia, Maldives, Malta, Marshall Islands, Mauritius, Monaco, the Netherlands, Netherland Antilles, New Zealand, Norway, Oman, Poland, Qatar, Romania, San Marino, Saudi Arabia, Serbia and Montenegro, Seychelles, Singapore, Slovak Republic, Slovenia, Spain, South Africa, St. Lucia, Sweden, Switzerland, Taiwan, Thailand, the UAE, the UK, Vatican City, and Vietnam. If you would like to buy from the USA Montrail online store, simply let us know which items you would like to order (by filling out the form below) and we’ll get back to you with a free international shipping quote within 24 hours!